Surreal. That is the word that Roksolana Luchkan used to describe the situation after hearing about the death of her cousin last week in the dangerous, war-torn parts of Eastern Ukraine. Fighting in Ukraine has only perpetuated since the outburst in 2013 and the continued political and social issues that encompass Russia, Crimea, and Ukraine are far from being resolved. 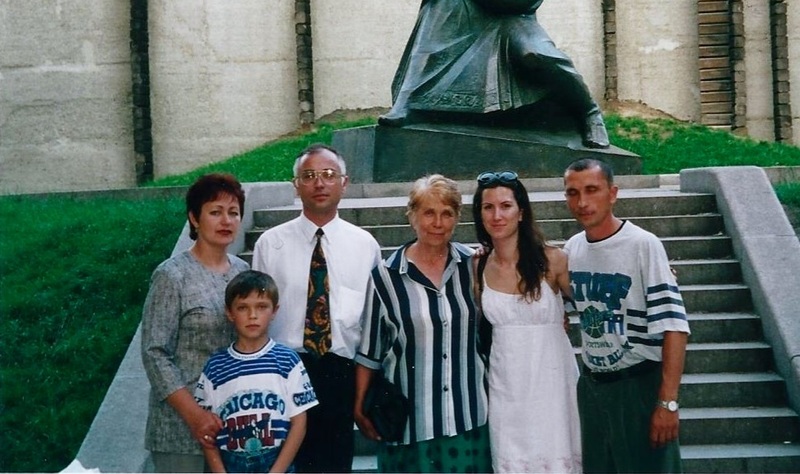 After re-speaking with Roksolana Luchkan, a first-generation Ukrainian-American whose cousin, Evhen Voytsekivskyj, was recently shot to death, we’ve been privileged and saddened to learn more about the complex situation deep in Eastern Ukraine. We have also sought her advice on a path to resolution for the Ukrainian crisis. Evhen, a 35 year old commander of a unit in the Ukrainian army, was tragically killed on July 7th at 5 am when his troop was attacked in the Luhansk region, in a town called Shastja. Ironically, Roksolana tells me, “shastja” means “luck” in Ukrainian. Evhen leaves behind a three year old son named Ruslan and five year old son,Vitaly. His wife’s name is Veronika. For Roksolana, watching the funeral procession, which aired on Channel 5 in Ukraine in Evhen’s home town, Smila, is a strange thing. She sees her family members and the thousands of Ukrainians who came out to the square to honor his death. While she has not been to Ukraine in eight years this shocking tragedy has pushed her even more to take up action against what is happening. Evhen is one of many who are killed daily in Eastern Ukraine where Pro Russian separatists are prevalent. The family, still in shock, is coping as best they can. 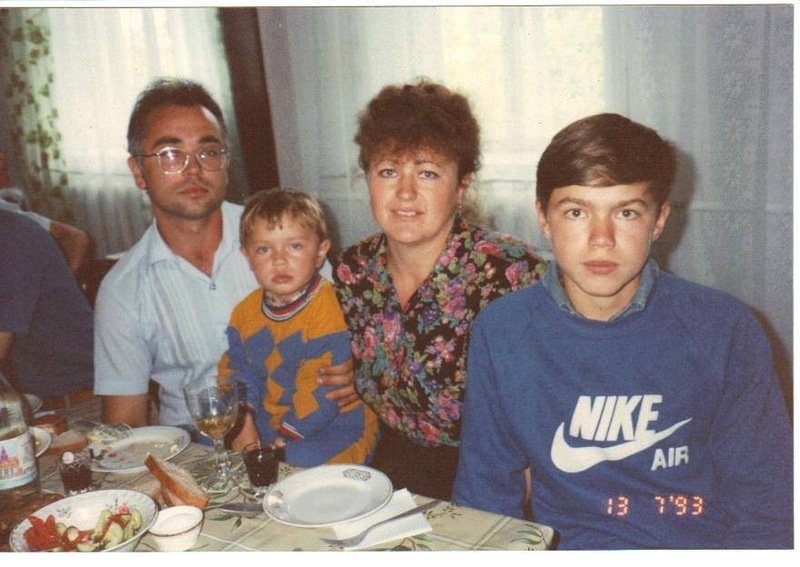 Roksolana said she will be sending Ruslan and Vitaly used clothing from her 6 year old son Finn. She actually communicates often via Skype and Facebook with family on both her father and mother’s side including Evhen’s younger brother Pavlo. Most of her family live nearby Kyiv and Lviv where fighting has not yet occurred, but she is not certain how safe the capital and other regions will continue to be over time. One encouraging thing that has come out of this tragedy and many tragedies similar to Evhen’s, is a large coming together of the Ukrainian community. To help raise the issue and provide relief, Roksolana a former yoga teacher in New York City along with her friend and activist Anya Shpook is creating a benefit at The Ukrainian Institute of America in Manhattan for injured soldiers called “Yoga for Ukraine.” Throughout the crisis she has seen action taken up by friends, neighbors, politicians, and international communities. Her best friend who works for an international consulting firm in D.C. is supposed to travel to Kyiv on Saturday to meet with the Ministry of Health on TB issues. Pending the flight situation in light of the Malaysian airline tragedy her best friend will meet with Evhen’s father to donate money that Roksolana and her family as well as herself and Roksolana’s boyfriend have put together for Veronika and the boys. Another friend raised money at a camp in upstate New York. Locally too, Ukrainian community town hall meetings in Connecticut have raised the issue vigorously and Senator Chris Murphy and John McCain even traveled to Ukraine a few months ago. Chris Murphy spoke at one of these town hall meetings. Not only have many in the U.S. taken action, but most recently Roksolana has also heard about the protests in Ireland in support of Ukraine after France made a deal to supply Russia with 2 Mistral helicopter carriers, a $1.6 billion dollar investment. Similarly, every day there are constantly more and more protests that occur in the U.S. and internationally. For Roksolana and many others, the future of Ukraine is unknown, but Roksolana remains determined that with international assistance, Ukraine’s situation will improve. “The community is very passionate and strong in their beliefs”, Roksolana states when speaking of national pride. What the country needs now more than ever is aid and assistance from strong European countries nearby and even, the United States. Roksolana tells me, “Ukraine is a beautiful and wonderful place but it is not known for its military strength” She believes the country needs support from both Europe and the U.S. to battle Putin and Russia’s powerful military and only with that, will the situation in Ukraine improve. To help support Roksolana’s benefit or attend her event, please click on the following link http://www.youcaring.com and search “Yoga for Ukraine” to learn more. Next Post War in Europe: A New Reality!